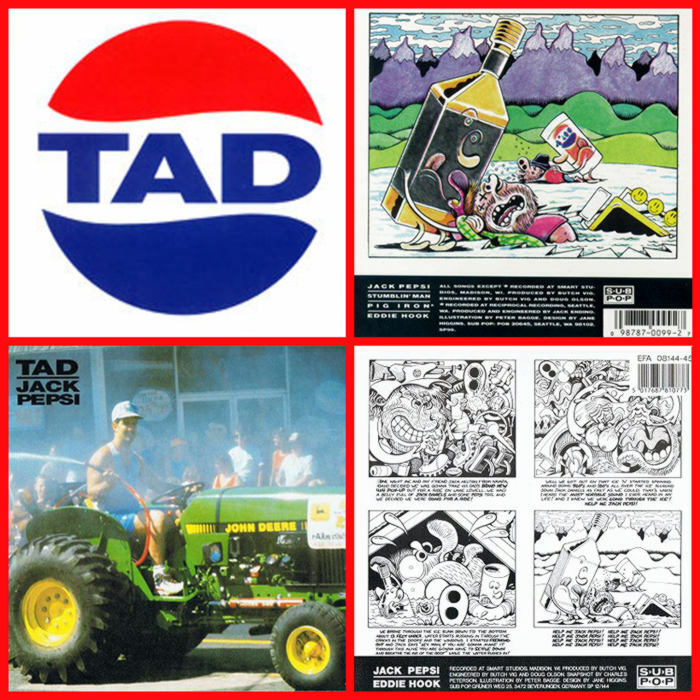 Ritual Room: EP: Tad - "Jack Pepsi"
I think I've posted enough Tad material by now that I shouldn't have to explain the primal, heavy assault you're in for with this stuff. Here's the long out of print "Jack Pepsi" EP which features a couple of songs you may not have heard before if this one's gone under your radar (like it did mine for years). And yes... this is the EP that got Tad a lawsuit from Pepsi becuase of the inital cover art they used. Enjoy! A girl after my blackened heart.TAD defines heaviness in all matters.Jack Pepsi and Stumblin' Man are timeless.Even in their later sorta melodic efforts this band could do no wrong.